Where information begins and solutions happen!!! askalanaquestion.com . . . helping you maintain better pool and spa water!!! Scroll down to learn about this Pool and Spa Website's many features. You'll find pool and spa information, product information and links. There's shopping for all sorts of water testing equipment, some problem-solving or lesser known products and other really cool stuff. 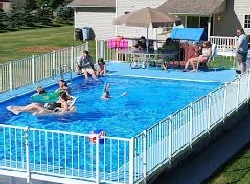 Mostly, it's about enriching your pool or spa experience!!! Pool and Spa Information and Help . . . are a click away!!! Your Pool and Spa Informational journey starts right here! The AskAlanAQuestion.Com website is dedicated to providing pool and spa consumers, dealers and service professionals, with free information and assistance in solving problems involving chemicals, water chemistry, water quality, pool and spa care information and related maintenance issues. The scope, of the approximately 2,000 archived Q and A, goes far beyond the usual Frequently Asked Questions (FAQ), typically found in Pool or Spa Care Problem-Solver Guides. Easy access to additional pool and spa product information is available, by utilizing links to other websites. There is no affiliation between this website and any major, full-line manufacturer of pool or spa chemical products and that helps maintain our objectivity! On a daily basis, we'll try and add a brief, helpful pool or spa product tip. We hope that you'll find the information and links, both timely and helpful. Browse through information from some of the leading Spa Product Companies and access contact information and links to their websites. 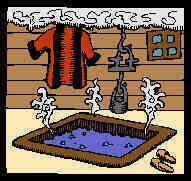 Search through 41 categories of archived spa, swim spa and hot tub information. More Pool and Spa Information and Help . . . are a click away!!! To ask a question, use the "E-Mail A Question" Link, in the banner, at the top of every page. Your privacy will be guarded. Please include city, state and the specific details of the problem or question. Questions are answered in a timely manner. 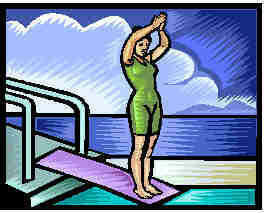 Browse through a list of links to some suggested websites in the pool and spa industry and more. You might just find the right link or whatever you're looking for! There are also links, throughout this website, to direct you to more information. Letters from our website visitors tells us how we're doing. Only a sampling have been chosen, for inclusion on our feedback page. 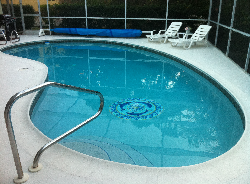 Browse through feedback from pool and spa owners, pool and spa specialists and website sponsors. Read some biographic materials, with more than 40 years of experience, in the pool and spa industry and a background, as a chemist, has lead to this website. Tens of thousands of pool and spa problems have been solved, over the years. Learn more about hundreds of pool and spa terms and better understand what needs to be done. Everything you might want to have defined or need to know more about, from A to Z. You don't have to let technical terms or jargon stump you. Any Company wishing to have their Company or Products included in this website, should click the link, directly below, for more information on Website Sponsorship. Sometimes a unique or hard to find product can solve a pool or spa problem or simply make things easier. You'll find interesting, new pool and spa products, that you may not have seen before. On-line selling since 2002. Safe and secure!!! Browse through one of the largest selections of Pool and Spa Testers, you'll find anywhere. From the familiar to the high tech, you'll find whatever you're seeking, for your needs. Look at the latest, state-of-the art WaterLink SpinTouch Labs. 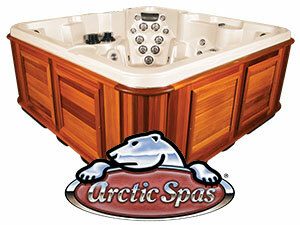 Finding new Pool and Spa products is always fun, because you never know what you will find. You might find something entirely new or a product that you never knew existed. Take a quick look and you might solve a problem. New items are always added. If you looking for a specific product, this alphabetized listing of all of the items, for sale on this website, is sure to help. Otherwise feel free to browse or use the Search Bar, near the top of every page. Maybe you'll surprise yourself and make a discovery. Why pay full price? If you're looking for savings, this is the place to start. You will find ColorQ all-digital Water Analyzers on sale, as well as a variety of other, interesting products. Your information is protected, on a secure server, with SSL encryption.